Join in on a long-standing tradition at the Institute! From our visionary spirit journeys in the Kiva, we create masks and costumes, while weaving together a mythic dance in celebration of the Web of Life. Cost: $545.00 –Includes Food and lodging during the workshop and the basic art materials. Upon registration we will provide details and what to bring. 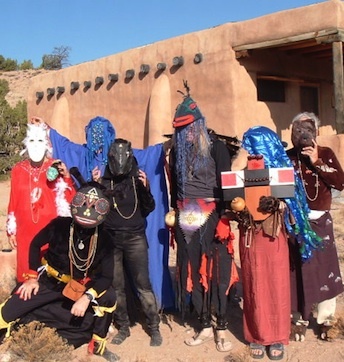 The Masked Trance Dance is a intensive workshop that is a centerpiece at the Cuyamungue Institute, the worldwide headquarters in Santa Fe, New Mexico. In this workshop, we use Ecstatic Trance Postures to journey to the alternate reality. An animal spirit will appear, as the inspiration for our mask and costume. We collectively weave together a ritual dance whose meaning becomes known as we each contribute our part. 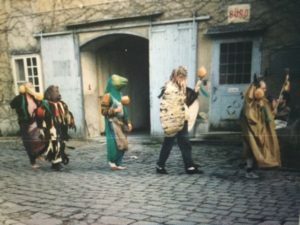 The ritual dance that emerges from integrating the group’s collective trance experiences tells a mythic story and culminates in a metamorphosis dance. We allow the dance existing within us to rise up and express itself. Drop away the thought process, connect to the present moment and open ourselves to the universal mind experience that manifests itself through ritual dance. 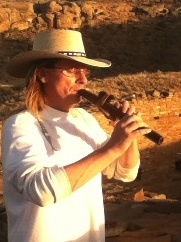 This sets the stage for a deep and empowering journey that creates healing and transformation. President / Executive Director of the Cuyamungue Institute. Paul has developed a life long appreciation of the teachings of indigenous Elders who share ancient wisdom with spiritual insight, providing practical solutions for modern cultures and technologies. This led to the discovery of the Ecstatic Trance Postures. 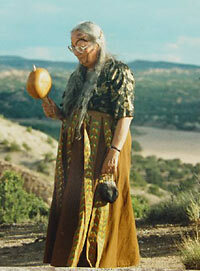 As a student, Paul worked directly with The founder of the Cuyamungue Institute , Dr. Felicitas Goodman – A highly regarded expert in linguistics and anthropology who re-dscovered this ground breaking research into trance states using ritual body postures. As a practitioner of the Cuyamungue Method since the early 90′s, Paul has been deeply affected by the profound nature of the experiences which led to his desire to support the work by accepting the role as Institute President.